Nine months after the Housing board had fired CEO Rahul Yadav under dramatic circumstances, cofounder Advitiya Sharma has announced that he’s quitting the company. During Yadav’s tenure, Sharma was seen has the public face of the company, making numerous appearances on television as he talked about the prospects of Housing. “The toughest phase in our history were the last 9 months. Nothing haunts a team more than a threat to the survival of what they stand for,” Sharma wrote in his farewell email to employees. 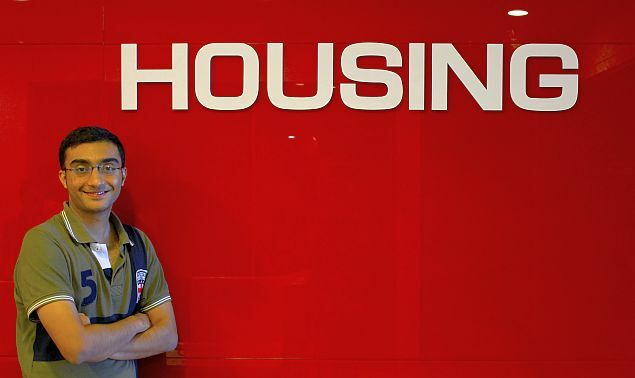 Housing has been undergoing a management reshuffle and a change in direction since it appointed outsider Jason Kothari to lead the company. Since Kothari took over, Housing has fired 800 people and shut down several departments. It has also, controversially, shut down its home rentals portal as it plans to focus on the home buying space. The Housing brand had been built on the back of its rentals product with features like heat maps and verified listings. In interviews, Advitiya Sharma had appeared focussed on solving the housing problem is India, claiming he’d think his life’s work would be complete if “there could be a buy button next to a house listing” on his portal. After his exit from Housing, Sharma plans to take a break and then launch his own venture. Five of Housing’s nine member founding team have now left the company. Housing had been once seen as one of the stars of India’s startup ecosystem, reaching a peak valuation of Rs. 1500 crore in mid 2015.